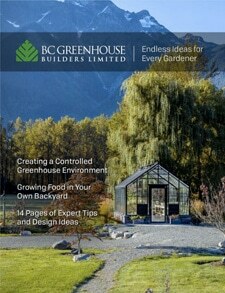 Lean-to Greenhouses | BC Greenhouse Builders Ltd. 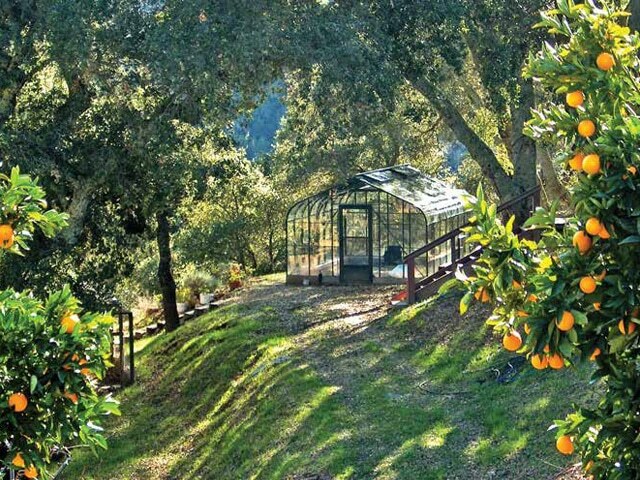 The ultimate in affordable living and growing space, a lean-to greenhouses offers the best of both worlds. Convenient access to water and power, designed to maximize the heating benefits of your home, the lean to greenhouse is a must for those wanting to extend the season and enjoy the view into the garden. Our Lean-To greenhouses models (also referred to as a solarium or sunroom) are built with the upmost of care to ensure a solid, safe structure for your home. Each greenhouse kit is adaptable in design and built to customer specifications to match your existing roof line. Available in Pacific, Traditional, Cottage or Cape Cod slope, the design can be upgraded for additional wind and snow loads if required. The frame is available in any color to match your existing structure as well as any glazing – single glass, double glass, twinwall or fivewall polycarbonate. We can place doors in the sidewalls or the gable end and increase sidewall height to maximize available floor space. To suit your home this lean to greenhouse design can be customized to fit under the existing eaves and appear to be part of the original design. A home attached residential greenhouse should have some consideration given to available sunlight, ventilation and temperate control in your solarium. In addition, the heights of the attached wall will general dictate the height and size of the attached greenhouse. Generally speaking, the wider the solarium, the higher the supporting wall must be. Other considerations would be the optimum location of windows and doors. Lastly, some thought should be given to how snow or rain will slide off of the roof onto to the attached greenhouse depending on your climate.